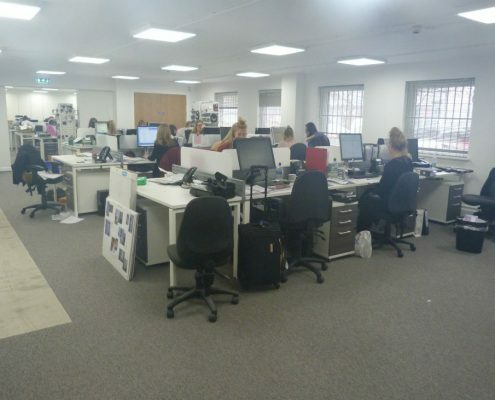 Jon Richards came to us when wanting to revamp their offices in Manchester. Jon Richards produce on-trend, fashionable jewellery that is extremely affordable and it is available to buy in over 140 Debenhams across the UK. Jon Richards wanted to update their office furniture to be more on trend and modern but keep practical for their working needs. The desks used were the new VETA bench desk range in white tops and white goal post frame. The new Veta bench desk range is lightweight and more practical when space saving in the office area. 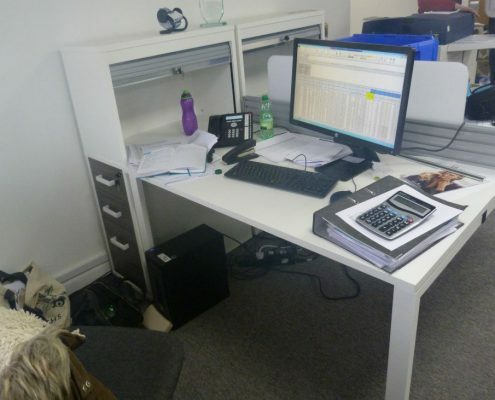 Bench desks are becoming more and more popular in offices and they’re also cost effective. We have also added under desk mobile pedestals to match the desks, with white handles and carcass and anthracite fronts. The screens used were acrylic white frost screens with a bottom silver spine rail. View this link to see the selection of office screens available here. 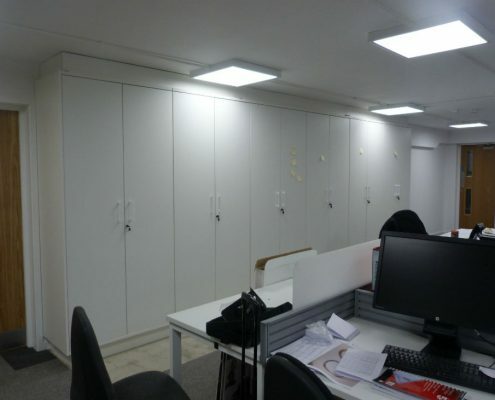 In this office installation we supplied 2m high storage cupboards which they then had built into the wall. The office installation ended up with a sheek white look and there is plenty more furniture to go in yet so keep your eyes peeled.